It is impossible to encompass everything that Maggie meant to the Michigan Marching Band. She was the heart of the MMB for decades. The high standards that she held herself and those around her to helped shape the MMB into what it is today. Maggie touched the lives of thousands of individuals within the University community. Her commitment and unrelenting passion for the marching band will be missed. 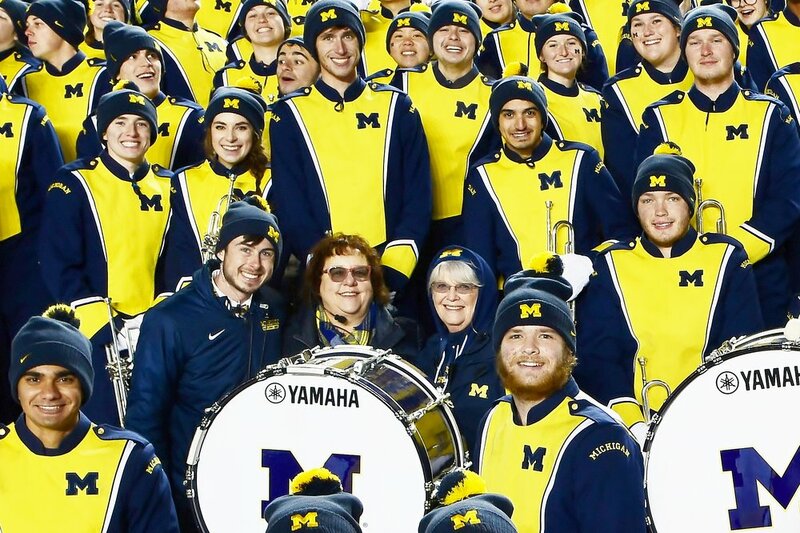 Her contributions will be a part of the fabric of the Michigan Marching Band forever. She was a Leader and she was the Best. The Maggie St. Clair Marching Band Scholarship was established with a lead gift from Donald R. Shepherd in honor of Maggie's dedication and love for the Michigan Marching Band and its members.